Abba has been one of my favorite places since I began rambling the backroads near my hometown twenty years ago. 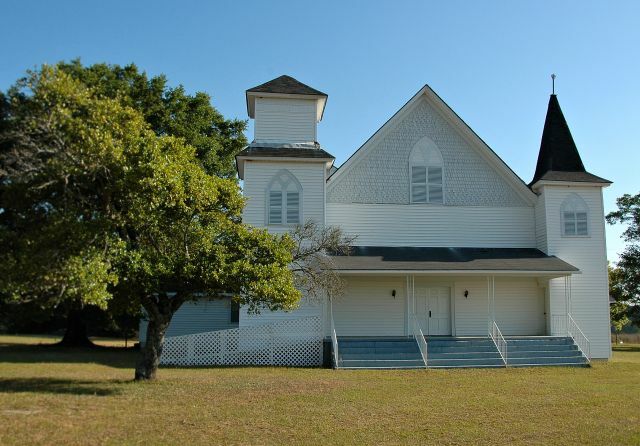 I have always loved this church, with its asymmetrical steeples, and its place at the edge of some of the most beautiful farmland in South Georgia. Its cemetery is one of the most peaceful places I know. A few of my ancestors are buried here. 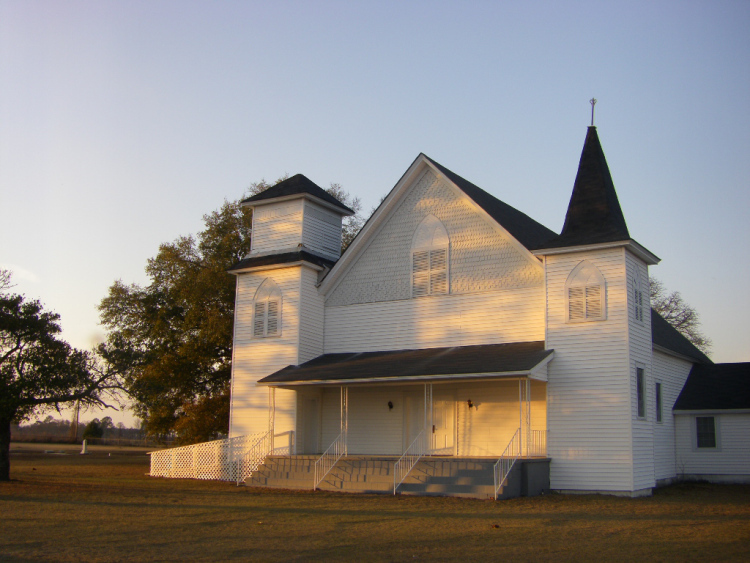 (An interesting geographical note- though the congregation is exclusively associated with Irwin County, the church building itself is actually located in Ben Hill County, due to boundary changes in 1906). This shows Abba Church when there were two doorways at the base of each steeple and a Gothic window in the center. 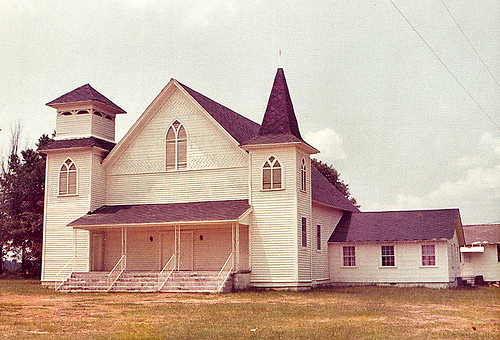 This shows Abba Church in 1970, around the time it was modified. 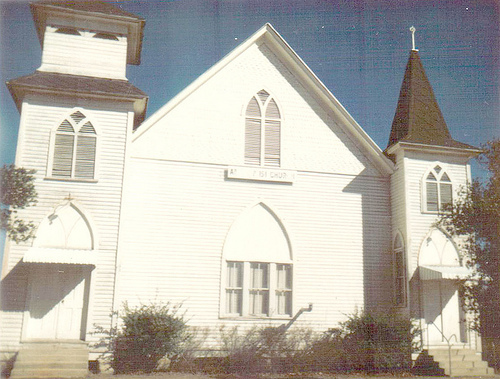 Notice that the doorways at the base of the steeples have been closed off, and the Gothic window in the center has been replaced by a new entryway. The church looks the same today, as you can see in my own photographs, with one exception: the bell tower on the left has been closed. I was grateful to get these vintage photographs and a great history of the church from Mike Kitchens. His father, Howard, served as pastor of Abba for 40 years. Many thanks again to Mike Kitchens for sharing this fascinating story.